Wednesday Night Group are not asleep on the job! 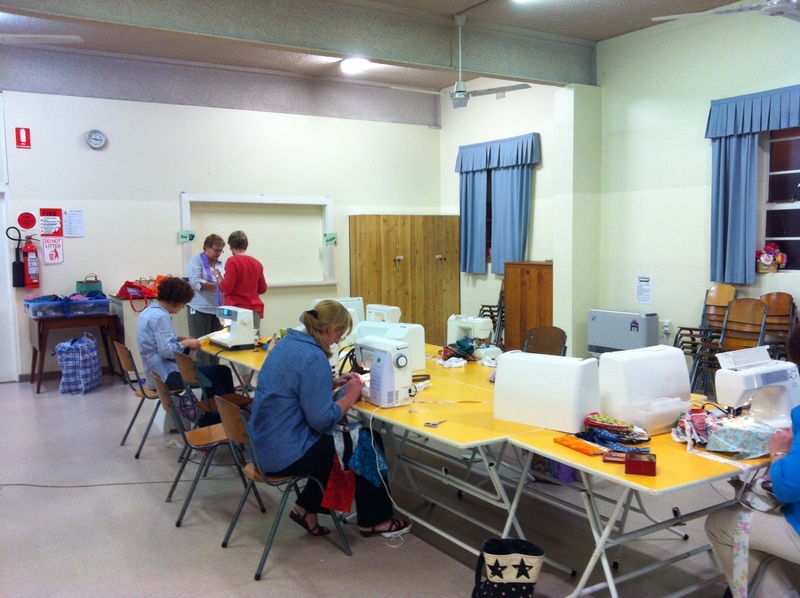 | Eastwood Patchwork Quilters Inc.
Wednesday Night Group are not asleep on the job! 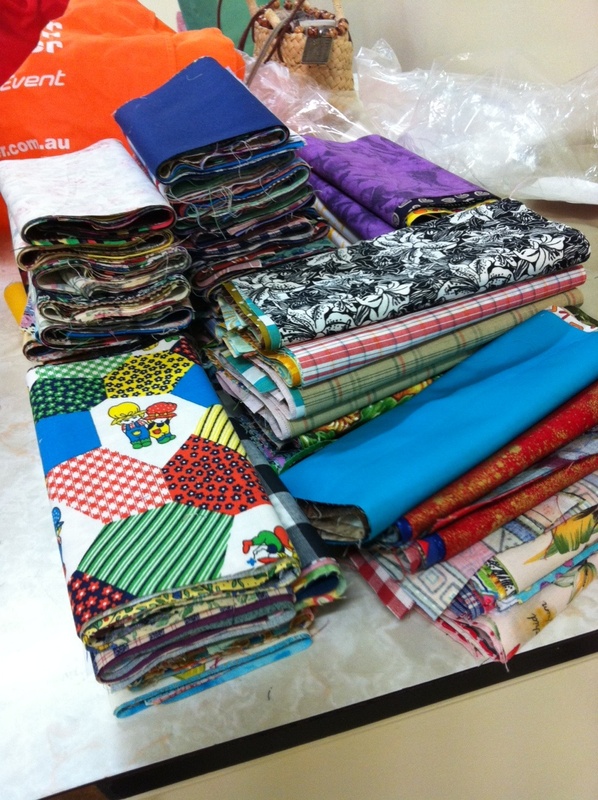 Wednesday night members have taken on the (insert word ENORMOUS) task of making enough bunting to stretch around the perimeter fence of Brush Farm House at Eastwood where the Eastwood Patchwork Quilters 2013 Biennial Quilt Exhibition will be held. I am not sure if the ladies realised the enormity of the task until it was begun! The members of the 3 groups contributed rectangles of fabrics, cut to a specified size. 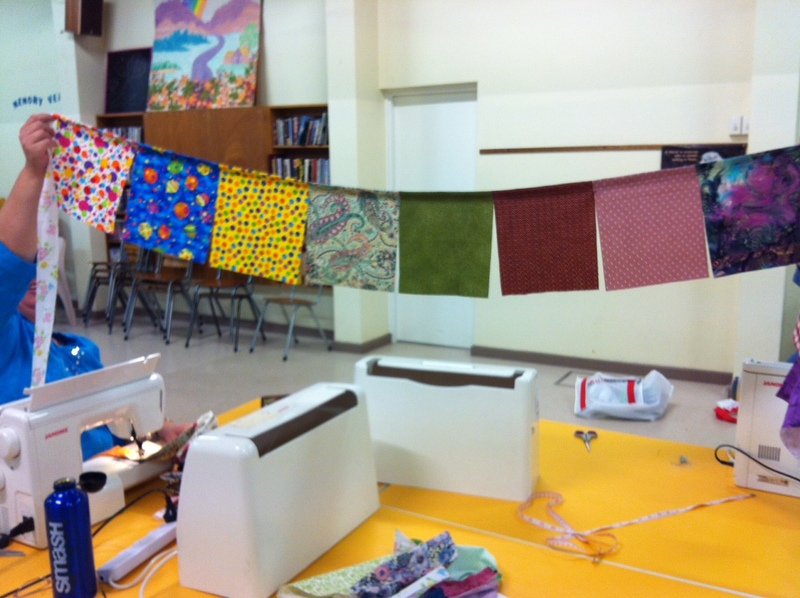 The sets for each banner section selected and then busily stitched to ties. One section finished . . how many to go? This entry was posted in Brush Farm, Eastwood, Eastwood Patchwork Quilters, epq, exhibition and tagged banners, Brush Farm, bunting, Eastwood, Eastwood Patchwork Quilters, EPQ, exhibition, patchwork, quilting by eastwoodpatchworkquilters. Bookmark the permalink.